No matter what size you are, your purse always fits. A fancy purse perched on your desk is like a piece of art uplifting you all day long. Purses are so personal. Pick what YOU love and there's no reason to justify why. Unlike haircuts, you can change your purse to fit the weather, your mood, or your outfit. You can find a purse you love within whatever budget you've got to blow on it. Here are 6 I've got my eye on for you, me, and Ann this spring. I love the orange! And the size is perfect for running around on the weekends when I don't need my laptop. This scrumptious bag was designed by my favorite yoga teacher here in Marin, Karyn Holland. She just launched this awesome new line of leather goods made with mindfulness, and each piece in her line includes an affirmation or inspiration sewn inside. Om. She's such a beautiful person inside and out, so it's no wonder her bags are the same. She's giving my readers a generous discount on her whole line with code HAPPYPLACE so hop on it. Mini = cute for day and night. Legs not included. Maison Margiela Distressed Shopping Bag $1,390. I'd be distressed too if I spent $1,390 on this bag. But I love it so I thought I'd throw it in for your enjoyment. 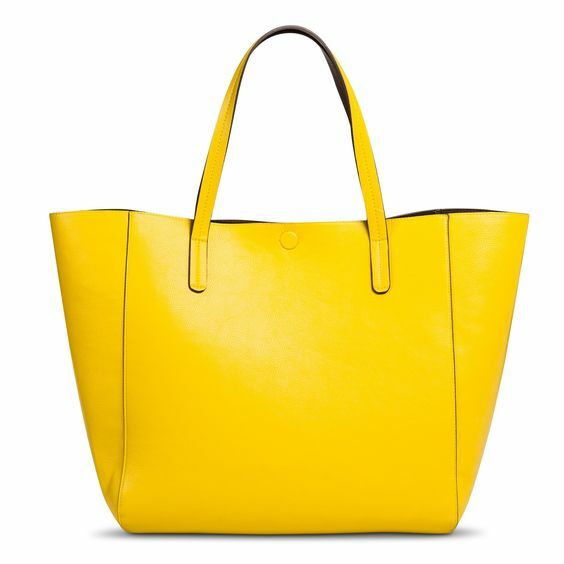 Nothing is happier than a yellow tote for spring and summer. This one isn't leather so if you spill on it, leave it in the hot car with crayons inside, or get caught in a thunderstorm, this baby's gonna hold up. I want this for Palm Springs, and to look at when I'm not in Palm Springs so I can pretend I am. Chanel Black Patent Leather WOC. Price withheld to spare my husband a heart attack. Every girl needs a dream. And this Chanel bag is mine. P.S. Spring has sprung, and to give yourself every chance to avoid getting a spring sniffle read my post on the powerful benefits of bone broth.